Most of the readers of this blog collect sports cards and whether you enjoy mainstream sports like football or a global sport like soccer, odds are Upper Deck makes a trading card you’ll enjoy. When you walk into a local card store or go online, you have a pretty good idea of what to expect out of a box of cards. But there is a different type of trading card that has been getting more and more popular in recent years for entertainment properties. With the increased popularity in comic book movies and fantasy-based television shows, there has been an increase in the number of non-sport card products. Let’s take a closer look at these cards and see if we can answer some of these questions. In simplest terms, they are just cards. In fact, they are not that much different than sport cards. Sport cards usually show current players or teams, depict significant sporting events or even have something from the history of the sport such as mascots. Non-sport cards can show a character from a comic book, have a favorite scene or quote from a television show or movie. Sport cards have insert cards that can highlight a star player or a memorable moment. Non-sports have inserts that can showcase a favorite character or pay tribute to a significant event. Some trading cards commemorate #1 issues of classic comics. 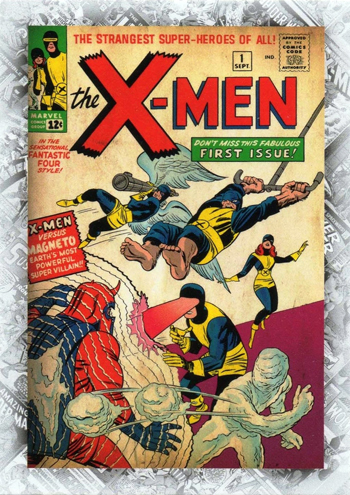 Not everyone can own an X-Men #1, but you can own the trading card! There are autographs and memorabilia in sport cards, and you guessed it, entertainment cards have got those too. Sports fans are used to seeing autograph cards in the market. 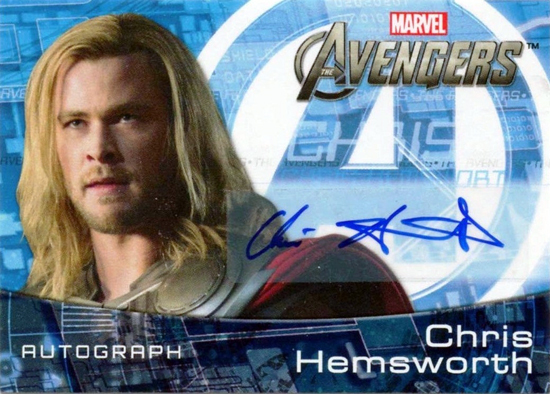 Entertainment trading card packs can yield rare autograph cards as well from some of your favorite Marvel actors and creators! Surprisingly non-sport cards can be just as valuable as their sport counterparts. The qualities that determine value for sport cards generally apply to entertainment cards too. How popular is the person/character on the card? Is the card signed by an athlete or actor? Is there a piece of jersey or costume in the card? Is the card hard to pull? Even armed with this knowledge, it is still hard to determine how much a non-sport card is worth. There are fewer people who collect them and there are not really any dependable publications or websites that talk about the values. However, auction sites like eBay are a good way to gauge the value of almost anything and can give you an idea as to what a card is worth. Which card would you think is worth more, a Derek Jeter autograph card or a Stan Lee autograph card? The answer might surprise you! 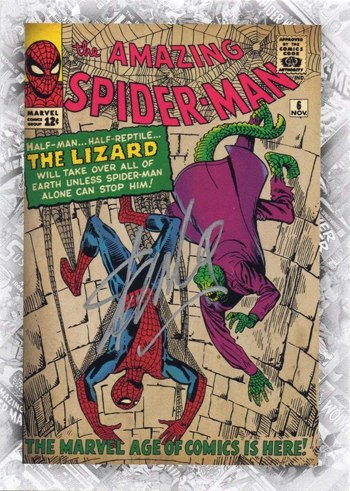 This Stan Lee autograph card sold for more than a Derek Jeter autograph card. Can you believe that? Art plays a huge role in comics and companies like Upper Deck so some really interesting things like having artists actually provide original artwork on trading cards. You can open a pack and pull a rare artist-drawn sketch card from one of your favorite characters that can be worth a lot of money. Artist drawn sketch cards are miniature works of art and can be very valuable. Another super unique collectible are the Ultimate Panel Focus cards. These cards feature portions of actual vintage Marvel comic books which is really different. And then there are a bevy of other technology based cards that are very attractive and super collectible! 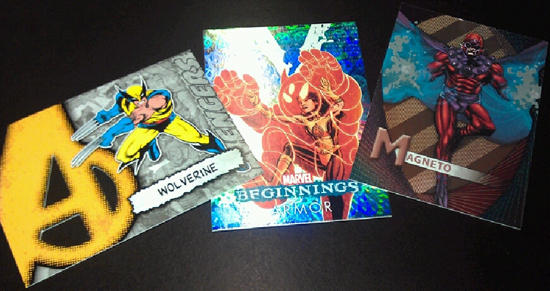 There are a variety of collectible inserts in Upper Deck Marvel packs like die-cut cards, light f/x technology cards and micromotion trading cards. People have loved sports for years. They have their favorite players or teams that they cheer for through thick and thin. They remember game winning home-runs, spectacular dunks or going to games with their loved ones. People that collect entertainment trading cards have similar memories and experiences with these types of cards. They remember reading about their favorite superheroes and dressing up as them for Halloween. They remember the times they spent with their family and friends while watching them on television or at the movies. Trading cards help bring us a little closer to things we cherish, whether they tell us who played third base for the 1960 Pirates or that Peter Parker is really Spiderman. Both sports and entertainment cards are a lot of fun to collect. So the next time you see a pack on the shelf, try them out, I think you will really enjoy what you find! Galen Lim is a trading card hobbyist with an interest in both entertainment and sports cards alike. Galen is a regular contributor to Upper Deck’s Volunteer Alliance and won D&P’ Sports Card’s April 2011 Scavenger Hunt. Galen can be reached via email at galenlim@yahoo.com. I love this different Idea,I like collecting cards so much,Its one of my hobby,This different Idea inspired me a lot. Great article. Lots of helpful information on non-sports card.